Maturity of safety systems has huge advantage over implementing a security program. 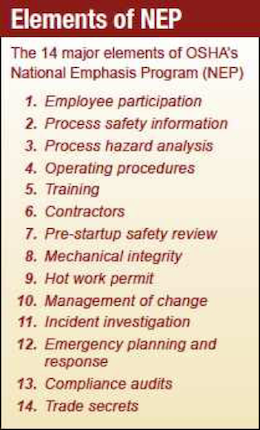 Safety systems, once the babe in the woods, is the wise, grizzled veteran in any manufacturing enterprise, but security, the new kid on the block, needs to reach that same established level – and fast. Here are some thoughts on where to start. There are some users that are more sophisticated and understand what the targets should be and then go about becoming compliant, Grone said. They also look for pain points to see where they can improve. 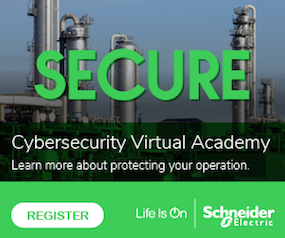 “One global operating company had to identify at what level of risk their sites were,” said Steve Elliott, Senior Director Offer Marketing for Process Automation at Schneider Electric. “They defined a minimum standard and asked; ‘Where are we against this for each of the sites?’ Next step is to rank the sites, look at the ones with the biggest gap or consequence and prioritize these to get them up to the minimum standard as soon as possible. First, the company had to establish a benchmark and train people accordingly; the site managers, the process safety leads. Secondly, they performed a gap analysis which resulted in a site improvement plan. All of this then had to be implemented and completed.